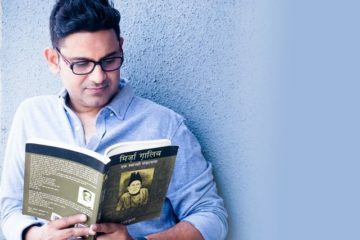 Manoj Shukla, known professionally as, Manoj Muntashir (born 27 February 1976 as Manoj Shukla) is an Indian lyricist, TV script and screenwriter. He wrote the lyrics to the song “Galliyan” from the film Ek Villain. He wrote the lyrics of the song “Tere Sang Yaara” from the film Rustom. He wrote the lyrics of much acclaimed song “Kaun Tujhe” from the film M.S Dhoni: The Untold Story. He also wrote the lyrics of the song “Phir Bhi Tumko Chaahunga”, with over 250 million views on YouTube.